Cheap is relative. 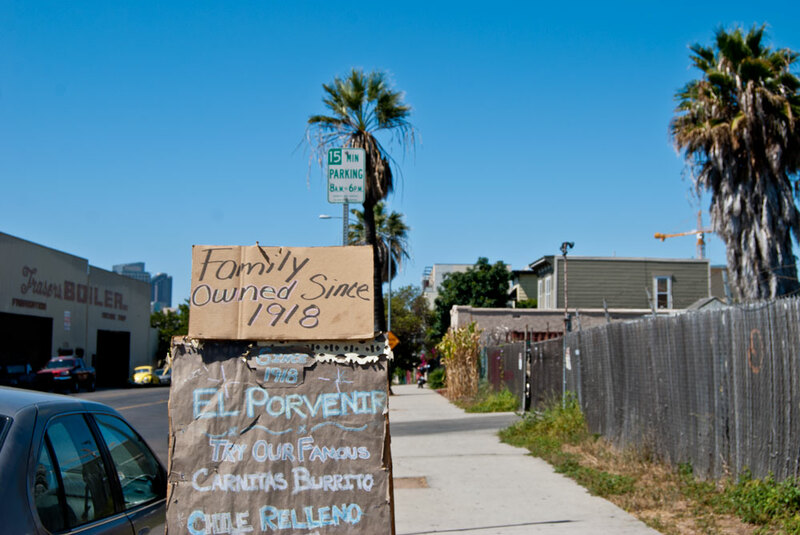 Even as Voz Alta and the Public Market take advantage of low rent, their presence plus development increase property values. So while new businesses set up shop, others relocate because they can no longer afford to do business. The demolition of buildings for redevelopment, or the exchange of ownership continues to displaced families and businesses at a rapid rate. At times, what “authentic” barrio elements remain, cease to be objects of culture to become objects of memory. Other elements, like the Indio mural that stood on the side of the Amador Market for decades, don’t remain to remind residents of what came before. 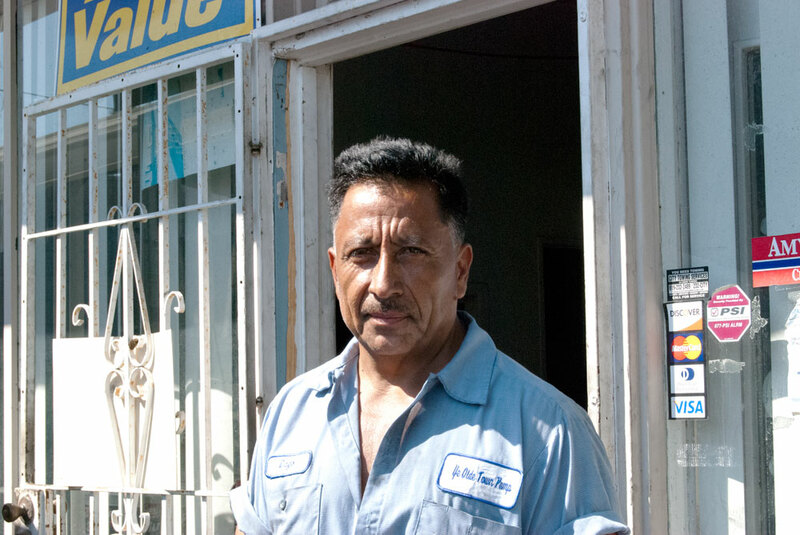 In this track, Dago, mechanic and owner of Ye Olde Town Pump, talks about the loss of local businesses on his street corner. Look around and notice how different the corner is now from 2007. Update: As of 2015 Ye Old Town Pump has been uprooted. 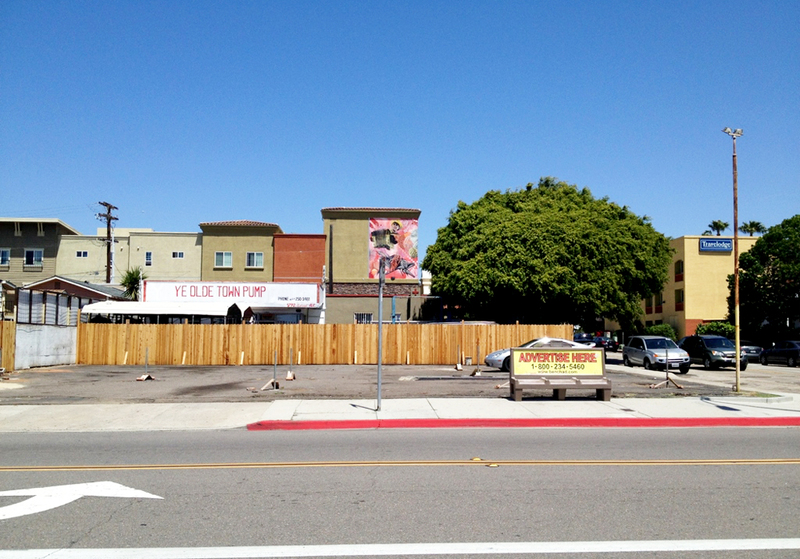 The image below, taken on April 14, 2014, shows that the mechanic shop was half of its orginal size before going out of business a year later.